Where to get your Lenovo fixed? | Hello Saigon! ← Where to buy electronics in Ho Chi Minh City? Where to get your Lenovo fixed? The other day while hubby was checking our Lenovo tablet, there was a crack running across one-third of the screen. Not too sure who was the culprit but investigation shows that it may be due to the mishandling of one 3 year old in the household. Other than the crack, the tablet looked okay except that because of the crack, one can no longer swipe the screen. We guessed the crack was pressing against the touchscreen. 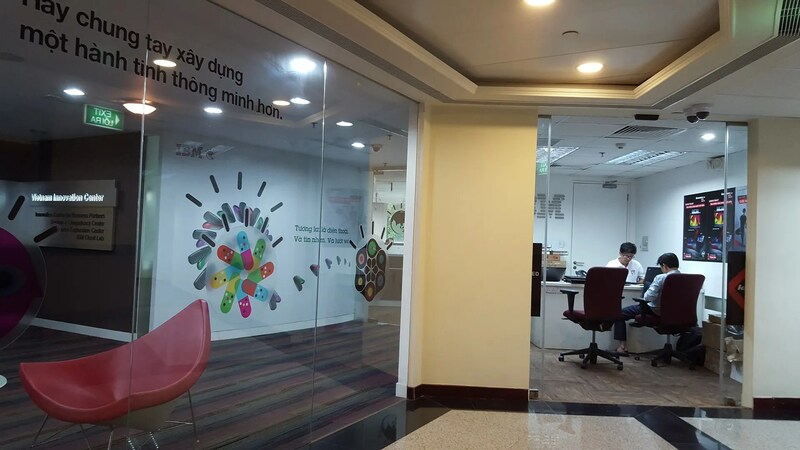 After some research, I ended up going to the same place where we bought it — at Lenovo/IBM itself in their main office in HCMC in the Saigon Trade Center. Joel from Expats in HCMC told me that it would probably cost around 50USD. And wouldn’t you know it, he was correct. So yesterday, I had the tablet dropped off for screen replacement and I picked it up today. The guy at Lenovo was eager to have it returned and even called me again this afternoon! That was one quick transaction. This entry was posted in Exploring Saigon and tagged Client Care, Lenovo. Bookmark the permalink. 1 Response to Where to get your Lenovo fixed? Pingback: Lenovo Repair: Rant | Hello Saigon!